Today to keep all your data in your control, especially if you are a professional in the fields of building up websites or photography, the necessity of having your own Personal Cloud Storage has become quite prominent. 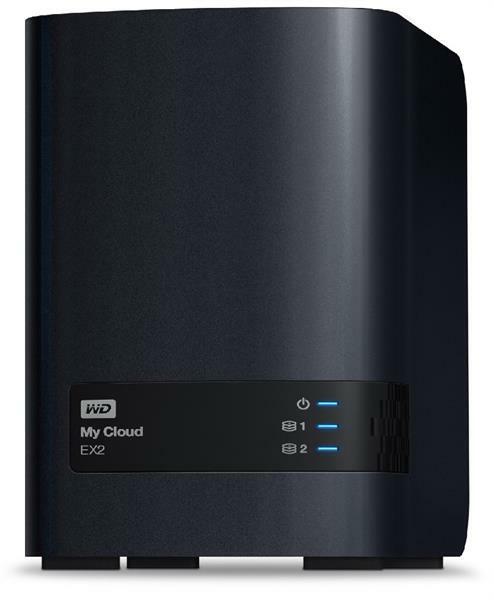 Among many other reliable brands, My Cloud EX2 Personal Cloud Storage from WD assures high-performance, along with a two-bay NAS that has its unique way of working. It is built up with WD Red NAS hard drives along with a complete suite of apps that works with its own style in a 24x7 NAS operating environment. This device can store a huge amount of photos, videos, music files and other documents safely which can be placed at your home or in a small office room and you can have access to all your stuff from everywhere you go. With My Cloud EX2 one can now easily manage their data with the help of RAID 0, 1; JBOD and spanning drive modes. To protect the data they can make use of the backup options like USB, RAID 1, cloud or LAN/WAN. The NAS has a memory of 512 MB and the processor is of 1.2 GHz which is reliable enough, and boasts of fast performance. The best part of the device is that it can be kept at home or in a small office room. It comes with Multiple drive management options, like spanning, RAID 0, RAID 1 and JBOD. The device is thoughtfully designed within a frame a two-bay tray-less enclosure. There are multiple data protection options. So one can choose to use the USB, the RAID 1, either the cloud or the LAN/WAN backups. The device has in it a WD SmartWare Pro especially for the PC users and it has also included Apple Time Machine which is compatible for the Mac users. The product is supported by a Twonky 7.2 DLNA 1.5 & UPnP certified media server. The device has support for iTunes too. Freedom of access to the smartphones, computers, tablets from anywhere. There is this facility of an Advanced software suite that comes with FTP and P2P torrent download servers and many others like Transmission, Icecast and WordPress. 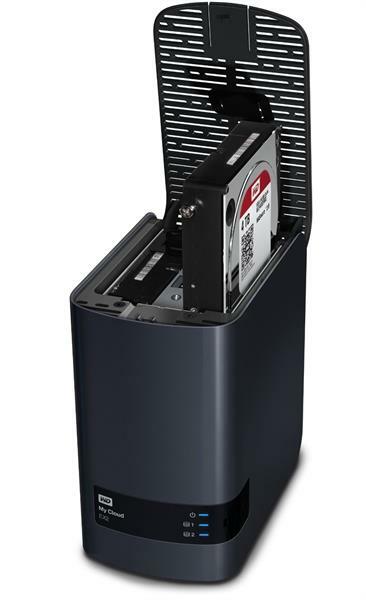 This Storage system is optimized particularly for WD Red drives that is clubbed with WD's exclusive NASware technology. There are Dual USB 3.0 expansion ports for enhanced connectivity. FTP services and More: There is a complete range of advanced features that empowers your digital world right there in a home or in an office that includes a fully-featured group of FTP services, iSCSI target, supports jumbo frame and so on. 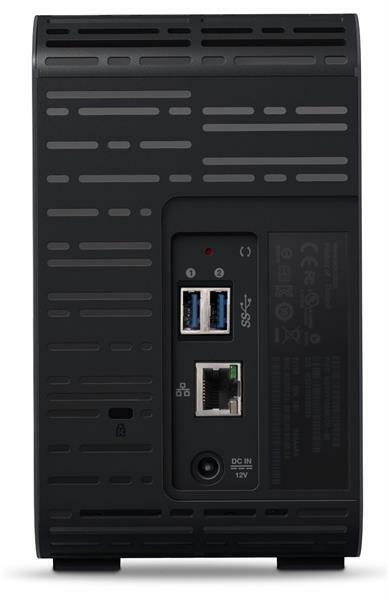 The device is iPv4/iPv6 ready, has a UPS support along with a real-time resource monitor, SNMP and virtual volumes and volume encryption with boot-up password. It has got powerful apps to customize the NAS activity. And this is done with the help of a number of industry-leading apps like Joomla, Transmission, aMule, Icecast, SqueezeCenter, phpBB, phpMyAdmin, and even more.
. Serving options – There are quite Advanced serving options observed in this device. It has got FTP server, backup server, Integrated file server and P2P torrent download server. Stream media – For the connected devices, there is option for Streaming photos and videos to the connected media players, TVs, DLNA/UPnP, gaming consoles and other devices. Energy-saving- The WD My Cloud EX2 8 TB has a an energy saving feature with its disk that can be spin-down and you can schedule its power on and off and chose not to make it run 24x7. Affordable: To own a WD My Cloud EX2 8 TB, you won't have to pay any monthly fees nor you have to keep your usage under limits. Operating systems: This personal cloud storage works vehemently with all the major operating systems like Windows 8, Mac OS, iOS and Android along with the mobile apps. It Centralizes as well as organizes all important documents, photos, videos and music files in one single and secure place. It secures your data wit the help of USB, RAID 1, cloud or local LAN/WAN backup system. It can stream every media component to the device it is connected to, like media players, TVs, and game consoles. It is good at saving while managing all the files that are important in a secured manner from any smartphone, computer, and tablet. The device can automatically Back up files from PCs and Mac computers that are connected to your network. Installing or replacing drives is a breeze. It allows access to the documents from any corner of the world. One can upload photos and videos directly to their personal cloud to create free space on their mobile and other devices. One can easily transfer files between the user's My Cloud EX2 and public cloud accounts. In the package you get a Two-bay personal cloud storage, an AC adapter, an Ethernet cable and a Quick Install Guide. The WD My Cloud EX2 8 TB works fine with Operating Systems like Windows XP (32 bit), Windows 7, Windows 8.1, Windows Vista or SP 3 operating systems. It is also compatible with Mac OS X Mavericks, Lion or Snow Leopard and Mountain Lion operating system. The Good:The device is easy to set up, and we could manage it with no jolts. The installation of drives or hot swaps were fast and effortless. The dashboard of WD is definitely a powerful one that gives you the total control of the device. The data protection aspect has got the primary focus and they have worked on it extensively. The Bad: Sometimes the Backups for few media files didn't pick up the usual speed. Pretty expensive for home use.